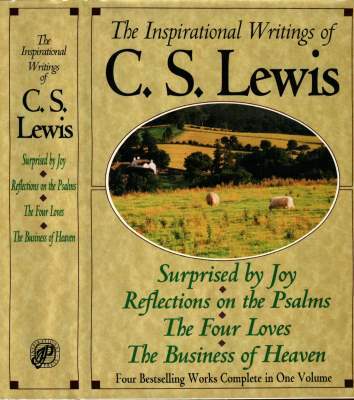 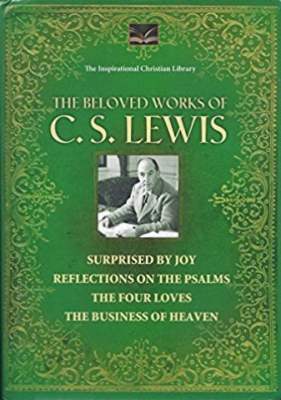 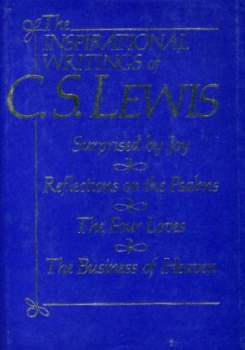 The Inspirational Writings of C. S. Lewis is an anthology of Lewis’ works containing Surprised by Joy, Reflections on the Psalms, The Four Loves, and The Business of Heaven. 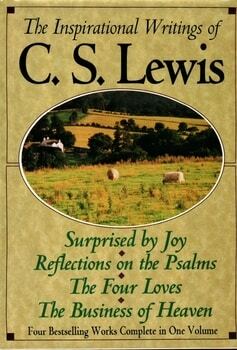 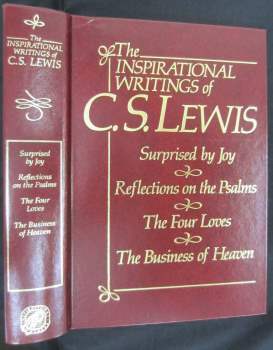 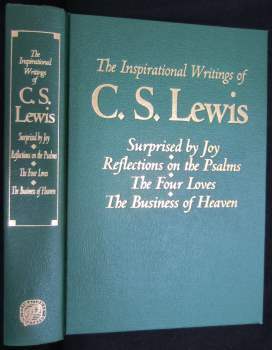 One setting of the work currently exists, however, IP1d was released under the title ​The Beloved Works of C. S. Lewis. 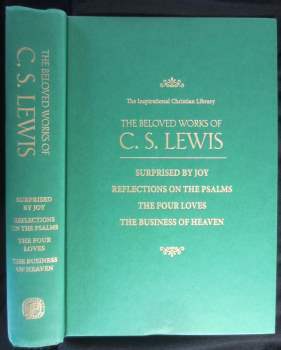 Jacket by David LaPlaca: Light green title/author over picture of Lewis at desk over light green sub-titles all surrounded by gold flourishes on green cover.